Cue the music. Lower the house lights. Draw back the curtain. A night at the cabaret promises dazzling performances. The types of performances you can expect vary widely, from sweet nostalgia to subversive commentary. Audiences, longing for the nostalgic sounds of old-school crooners, often gather in lounges to listen to performers sing their renditions of vocal standards. When you visit a cabaret in New York City, you may hear a selection of tunes by a noted singer or lyricist, or you may be treated to a narrative version of his or her life. The cabaret is a venue where the songs people love play on. Traditionally, the cabaret served as a place for writers and artists of all kinds to try out their new material, and many such performances persist today. At the infamous Le Chat Noir in Paris, for example, poets would gather to create and perform new pieces while the audience enjoyed their wine and dinner. A master of ceremonies usually presides, helping the show transition from one performer to the next. Much of the content in salons is political in nature, offering the balm of satire to the disenfranchised and oppressed. 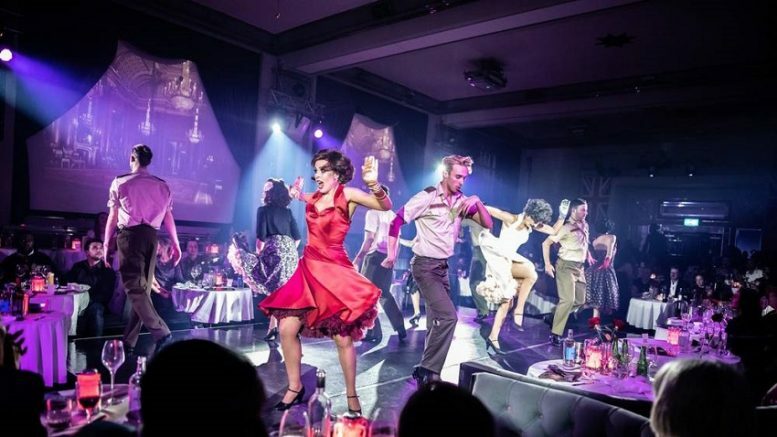 Attending a burlesque show is unlike the typical theater experience. Most burlesque shows are filled with daring costumes and provocative dancing. Burlesque thrives on tearing down the proverbial fourth wall, intentionally initiating frequent interaction between the performers and the audience. Performers call out audience members, and audience members, if they choose to participate, are expected to follow the performers’ leads, blurring the lines between observer and entertainer in an experience they aren’t likely to forget. Cabaret shows are as diverse as their performers. They often aim to question, subvert and, most of all, entertain. Theater and music lovers alike can usually find something to love about the cabaret. Be the first to comment on "Types of Cabaret Shows"